Lemon Harangue Pie: What American accent do you have? You may not think you have an accent, but you do. What kind of accent to you have? Click here to take the quiz and find out. OK, so I've been out of the South for a while. 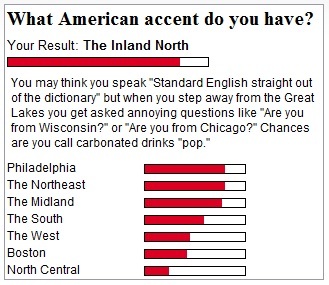 Still, I refuse to believe I have a Minnesotan accent.